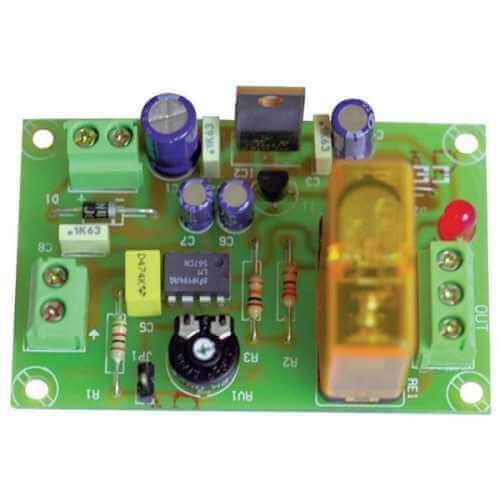 This audio frequency switched relay board will activate the onboard relay when the module detects the user-set input frequency from 150Hz to 2KHz. The trigger frequency can be adjusted from 150Hz to 2KHz using the onboard trimmer. The input voltage range is 100mV to 3V peak to peak. The oscillator is very stable and has a maximum detection frquency deviation of just ±20 Hz when used with a high quality stable power supply. Switch mode supplies are not recommended.